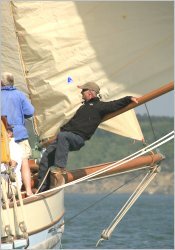 With over 40 years’, experience, Lance Whitehead has been sailing since childhood, initially in dinghies and later in offshore yachts and keelboats. He has raced regularly at national and international level, representing Great Britain in the 1991 and 1993 Admiral’s Cup and at various European and World Championships. 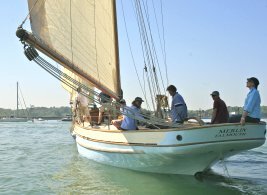 Away from the race circuit, Lance has cruised extensively around UK and Western Europe, the Baltic, the Mediterranean, the Caribbean, the US East Coast and the South Atlantic. He has held a DOT/RYA Yachtmaster Certificate since 1980.